This is by far and away my favourite time of the year. I love the golden leaves, the smell of the fresh, crisp air, the blue skies and the low sun. The smell of the radiators as you first turn them on, the heat of an early autumn log fire, the colours of gold and yellow, red and orange everywhere. Rediscovered scarves and coats, wellies and hats. Planning for Halloween, getting excited about Bonfire Night, making winter squash soup. So many cosy happy moments. 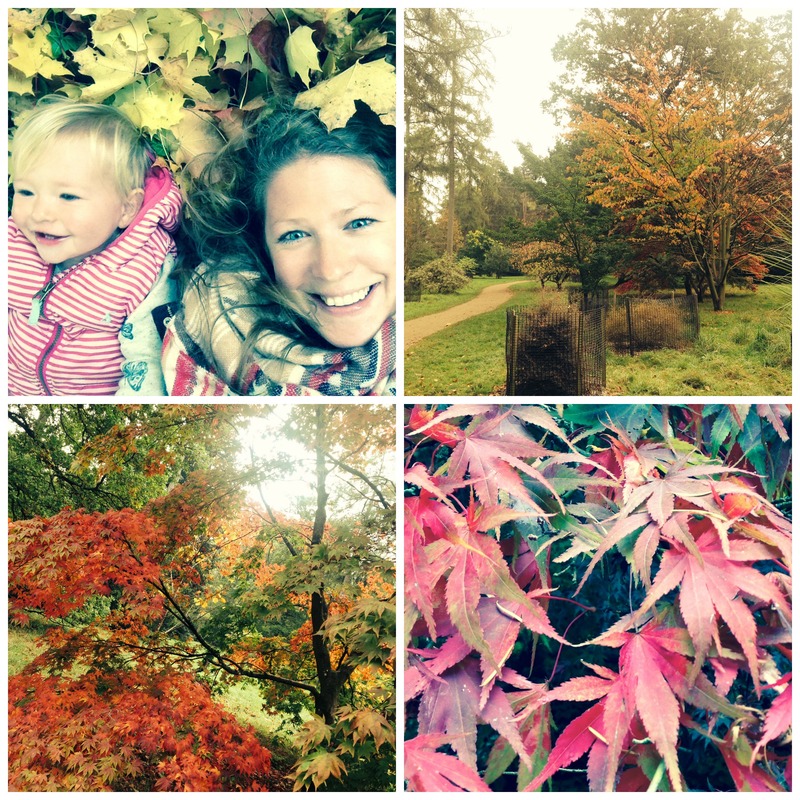 Every autumn we go to Westonbirt Arboreteum to see the colours change. It’s a wonderful way to embrace nature’s unique way of signalling the changing seasons. Last year Munchkin was tiny, just four months old, but she loved the leaves and I have some amazing pics of her nestled amongst the orange and red foliage. This year I was so excited for her to be able to get out of the buggy and run around in the leaves, falling into them, kicking them, playing with them. It was such a world away from 12 months ago, and one of the many signs we’ve had recently of just how far we’ve all come. 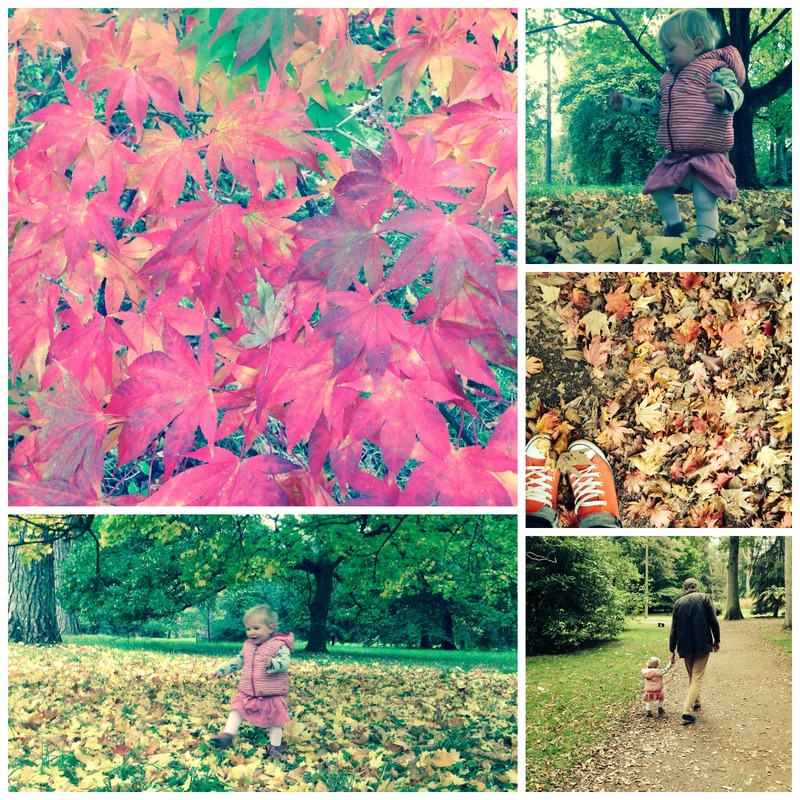 When we visited last week, the autumn show had just begun, the colours are only set to get more gorgeous as the weeks go on, but this little snapshot already shows how vibrant and glorious autumn is looking. 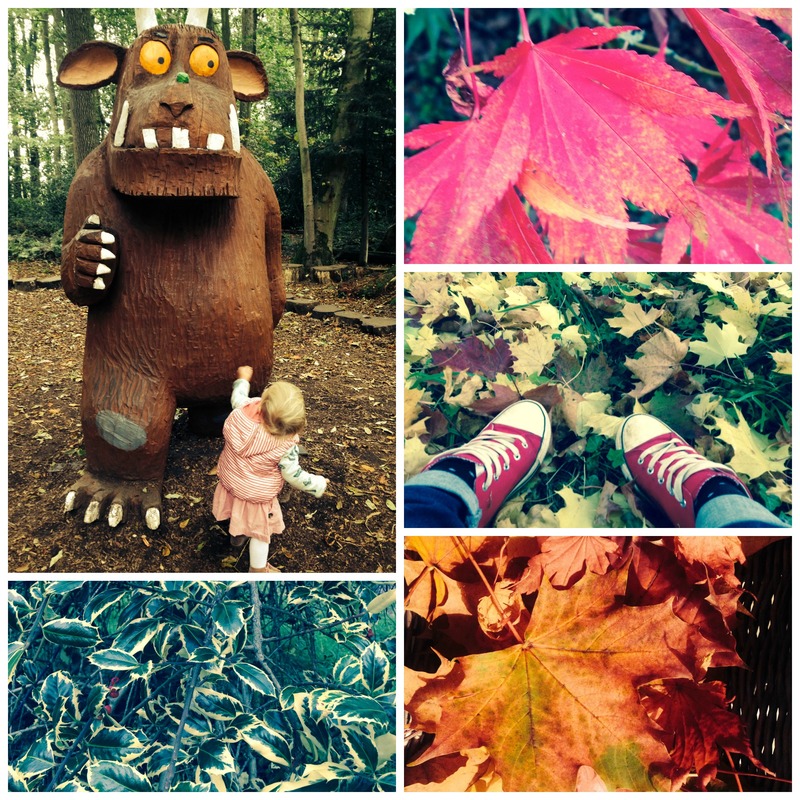 You can find details on visiting Westonbirt here.